There is a new set coming out -Journey into Nyx- and as usual there is a new version of MTG Tracker, but it does not only add the cards from Journey Into Nyx and Duel Decks: Jace vs. Vraska, it also has some new features. Many people was using collection and / or wishlist for keeping multiple lists by saving them and importing them again. That is quite inefficient, so now you can have as many card lists as you want. 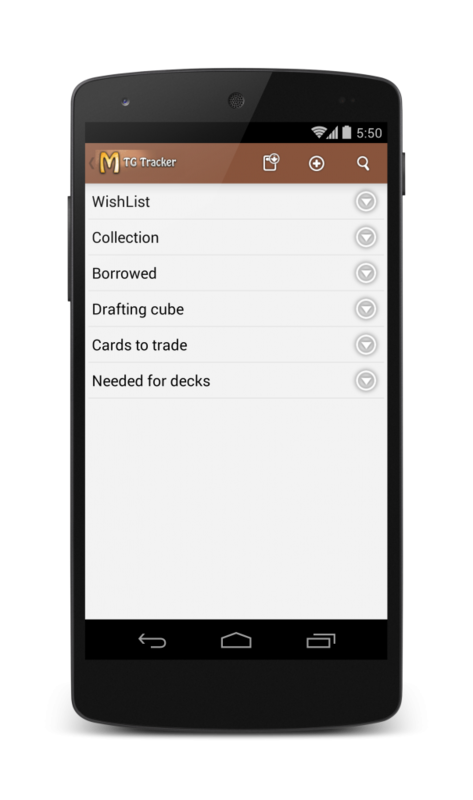 Want a list for the top priority cards you want? What you have borrowed to someone? The cards in your Drafting Cube? Which ones you are willing to trade? The missing cards for a deck? Now it is up to you, create a list, name it, and you can use it for whatever you want. Playtest is nice, but there was no way to keep track of what was tapped and what was untapped. For quick tests, you can track it in your head, but that is far from ideal. From this version you can tap / untap the cards on the battlefield. And yes, they do untap when you click next turn. Also, some people complained that they exited playtest by clicking back accidentally. For those cases there is a new setting to display a confirmation dialog before exiting. I know some people will love it. Another feature requested many times is to add notes to decks. There is now a 3rd tab on each deck where you can keep your notes. Card prices is one of the features people like. To save network traffic the prices are cached for 3 days, but when some cards get banned or unbanned prices may change quickly. Since this version, you have new settings for how long you want to have the price cached (and to clean all prices manually) and the option to show Normal / Foil or Low / Avg / High (if the price provider has that). 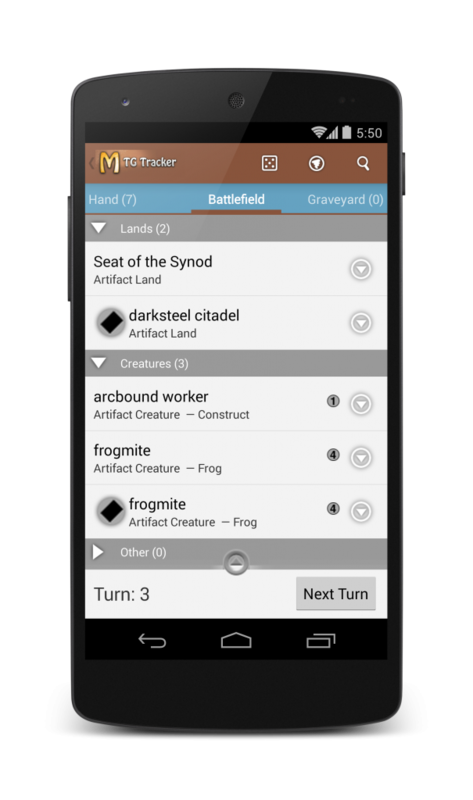 This entry was posted in Android, Magic TG Tracker by Platty Soft. Bookmark the permalink.